Sooo, Virgil and I set up an IRC channel for ImpishIdea. Come hang out! Select your account from the drop down menu and put “#impishidea” in the “Channel” field. Click “Join” and you’re done. Forgive my ignorance, but what’s an IRC channel? Is it kind of like a privatized chat-room? As a warning, mibbit doesn’t work; freenode apparently disabled access through there. 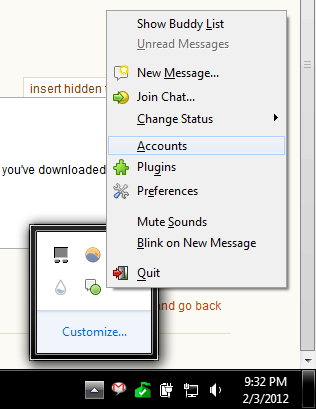 Use http://webchat.freenode.net/ instead. EDIT: Making the link clickable. Wow. IRC. Haven’t used that in years. Next up: an II newsgroup. @SWQ – Just as forums overtook newsgroups because of all the shiny features they provided, IMing and flash chat rooms overtook IRC. 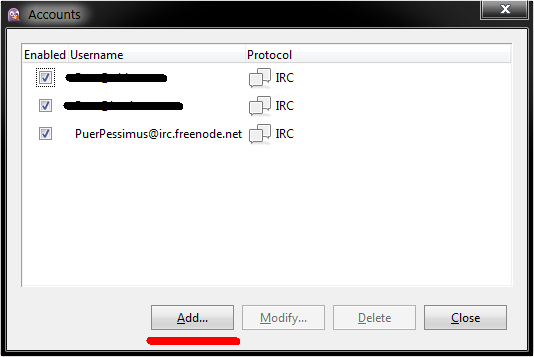 IRC seems like it would be a good fit for II. ‘tis perfect for casual conversation. arg, my dad’s computer filter blocks pidgin and my portable version keeps crashing. EDIT: I’m not getting the “join conversation” option at all, anywhere. Maybe it doesn’t work with portable? EDIT: ARG, I can’t get enabled. I wonder if this is somehow blocked by my dad’s filter? RAGE. 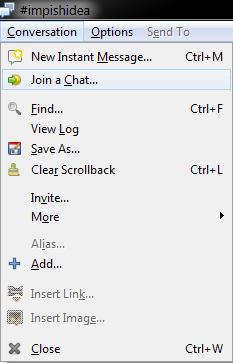 EDIT: Now the ‘join a chat’ feature is greyed out. But I can ‘join a chat’ with my aim account. WHY? EDIT: My connection keeps timing out. wft? 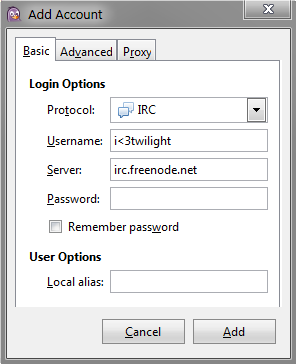 If you have Thunderbird 15, you can access IRC from within the client.